The new SPDIF DAC features the ESS Sabre ES9018K2M DAC using SPDIF optical input instead of USB. 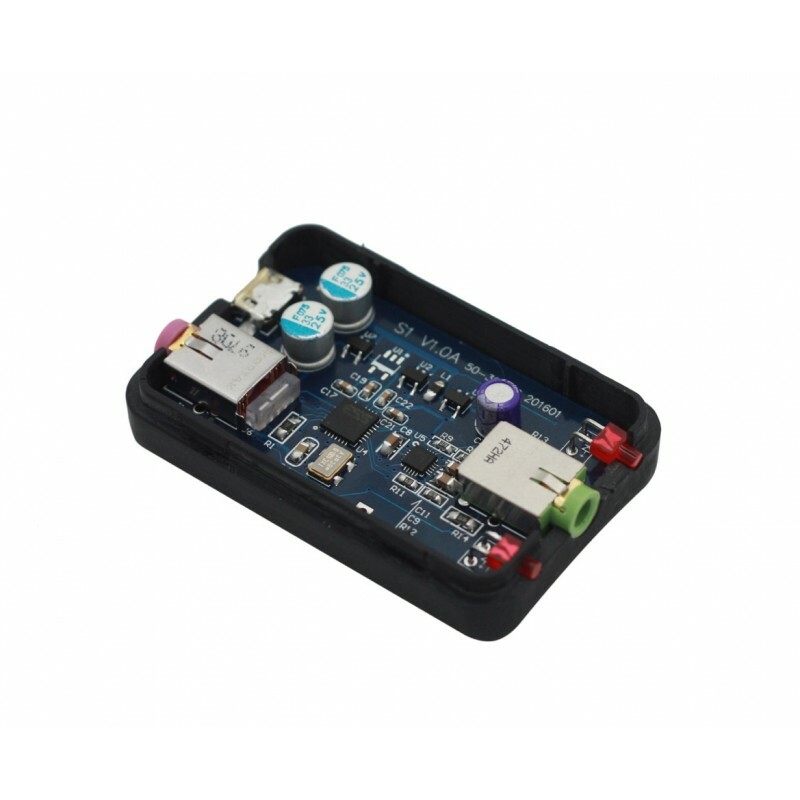 It can be used with all devices that outputs a digital optical signal like the Chromecast Audio, CD players, TV's, computers, sound cards (including Hifime DAC's with optical output). 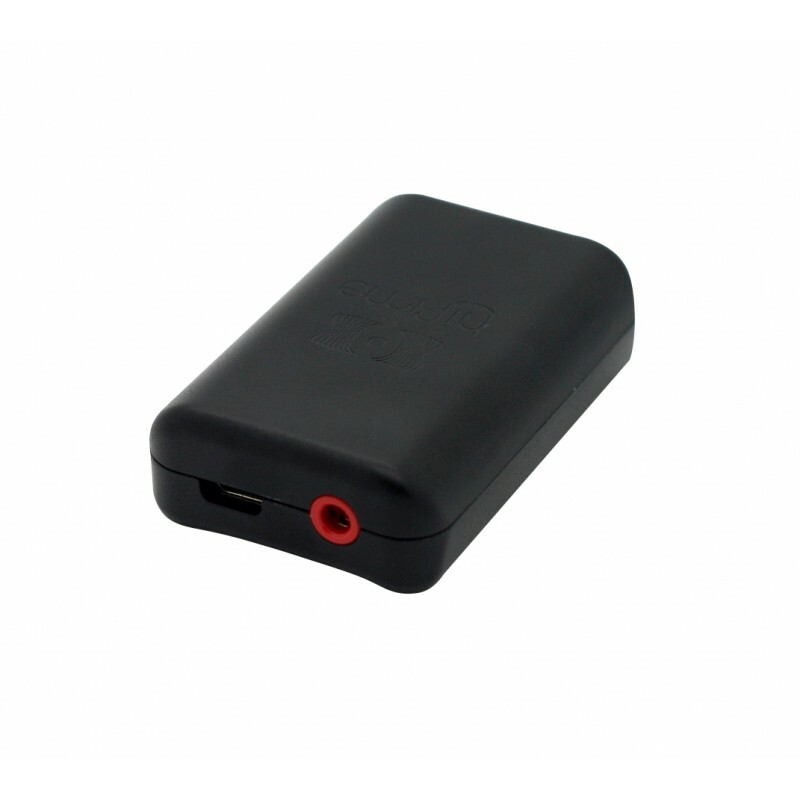 The DAC has such a small size due to the compact size of the chips used and because it uses an external power supply (not included). 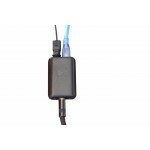 The power can be taken from any USB port, USB phone charger or USB battery pack. You can power both the DAC and the Chromecase Audio device from the Chromecast's USB power supply (with a USB split cable). The sound from the SPDIF 9018 is very detailed with a great soundstage. The output stage chip, also from Sabre, can drive line level loads (preamps, amplifiers) and most headphones. The chipset has great specs and offer a great sound at this low price. The noise is very low and can be used with also the most sensitive headphones. 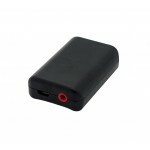 The sound can be further improved by using a high quality, low noise power supply like a battery pack/USB charger. There is already an ultra low noise regulator with power filtering capacitors conditioning the USB power, so it will perform well with any normal USB charger. 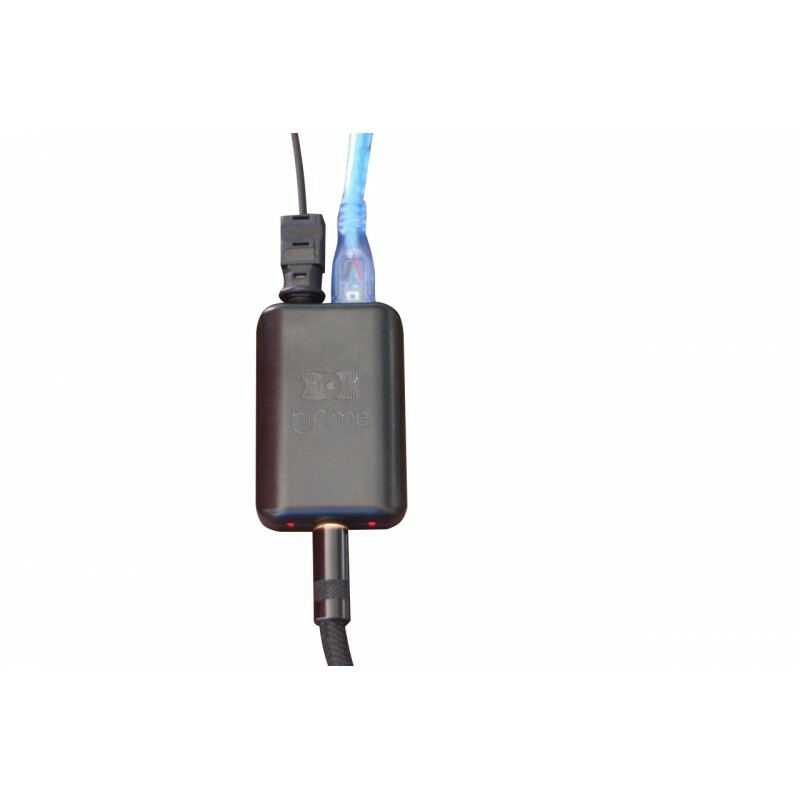 It accepts any optical signal up to 192kHz and 16, 24, 32bit. Note that you need a good quality optical cable for higher sample rates. Requires power from microUSB (not included). Note: It doesn't work as a USB DAC! The microUSB connector is only for power. Admin EDIT: The following review is either for the wrong product or a fake review, as we have not shipped this product yet at the time he wrote the review. poor quality headphone jack,and poor quality distorted sound. also no volume control. I had the chance to test it against many other dacs and this means: Dacs/Players ranging from 1982(the very beginning of digital audio) over 1995 to 2011. Cheap and expensive. Resistor Types, Delta Sigma and 1-Bit. One of them is the DAC-In-the-Box made by the long defunct company Audio Alchemy, who were the first to come up with the concept of a small external DAC in 1986. Long story short: Against any other DAC, vintage or new, expensive or cheap, the SPDIF DAC lacks warmth. Low bass is there, but the lower mids are missing. Any instrument lacks body. The result during comparison is always the same and very obvious. Its not like "hmm - I think this Dac is warmer, could I listen again?" the result is as obvious as one was comparing louspeakers. As the SPDIF DAC is highly integrated with the headphone / line out I think evrything was done well. But I assume maybe there is room to play with the capacitors in the Dac. Quatrième DAC acheté chez HIFImeDIY (ES9023 synchrone, ES9023 asynchrone, ES9018K2M asynchrone 384kHz/32bit et ce ES9018k2M optique). Après plusieurs jours d’écoutes, la comparaison se fait entre le modèle USB ES9018K2M et cette version optique. Les 2 DAC ont des sources différentes. Il donc est possible que le résultat soit aussi attribuable à celles-ci (DAC-USB/PC-GNUdebian & DAC-Opt/Box-AndroidTV). Dans les 2 cas, la sortie est la même : ampli tripath et enceintes Dynaudio Acoustics. Les fichiers audio, servant de test, sont les mêmes. Le son produit par ce dernier système est plus dynamique. La séparation stéréo semble également plus marquée. L’autre, procure un son que l’on pourrait qualifier de plus homogène. Sur de grands ensembles les instruments se détachent moins les uns des autres, mais l’ambiance générale (salle, réverbération, etc .) semble mieux retranscrite. A l’écoute de ces deux systèmes, il est difficile de dire lequel est le meilleur. Tous deux sont excellents. Another comment on setup. The TV must be set to 2 channel PCM - not Dolby. My audio player has a pure direct mode that needed to be turned off to use the TOSlink output. Definitely consider this DAC if you have an analog integrated amp or preamp/power amp. Excellent product. (3 reviews merged) I owe it to HiFiMeDIY to revise my previous comments. This is my first external DAC component. My audio player has a 32 bit Burr-Brown DAC. I thought it was a good source because it's more detailed than my previous players. I didn't suspect the internal DAC was the reason CD's and WAV files sounded better than other formats. MP3's usually had a graininess and most FLAC files were a little flat compared to WAV files. The 9018k2m DAC is the economy version and it's noticeably better than the internal Burr-Brown DAC. I'd thought the details were good before but the 9018k2m chip brings them out even more. I can hear and understand background sounds on live recordings that I've listened to many times and never heard before. The new detail gives a bit more depth which too. With the 9018k2m, MP3 files are clear with no graininess. Pandora is now a listening option and the TV can sound better than the CD player. Just don't try to use it as a headphone amp. UPDATED, previous review: I'd like to update my initial review but wasn't able to log-in to edit. My initial attempt was to use this as a headphone amp which is not how it was designed. When used between the TV and my integrated amp as a line-in it does not clip the output and provides great sound. The spec says the output can drive 32 ohm headphones but it doesn't. I doubt that it could drive 600 ohm headphones too. Using 3.5mm to RCA line-in cable it works as designed. UPDATED INITIAL REVIEW:Received a preordered unit yesterday. Have it powered by a battery pack. Not able to control volume over SPDIF and am hearing significant clipping. A cable with the 3.5mm end and an adapter end was included. If the clipping can get fixed this will be a good deal for the price. HIFIME SPDIF OPTICAL DAC with Sabre 9018 chip Background The new SPDIF DAC features the ESS ..